Enjoying success by living life to the max through your ageless passion for sports can create time constraints. Multi-tasking on the move between your family and your sports career while preparing for your “pro sports life transition” can take precious time away from dealing effectively with your financial affairs and your dreams. Obtaining the objectively competent advice required in coping with today’s complex financial world can be extremely difficult. This exclusive concierge services Program was designed with these issues in mind. It comprises an elite team of professionals located across the country. Our Coaches focus on improving your financial CORE strength to achieve your dreams. We engineer your financial life support system in coordination with the surrounding financial, legal and economic environment. Coaches focus on improving your financial CORE strength to achieve your dreams. 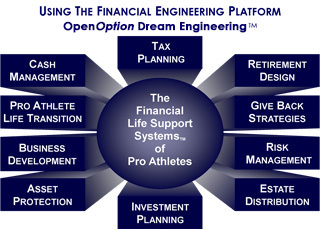 They engineer your financial life support system within the surrounding financial, legal and economic environment. Financial CORE Strength . 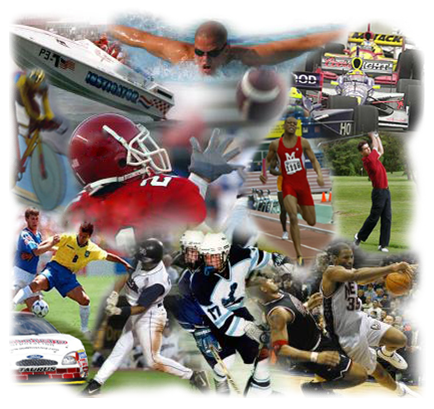 . .
You Can Select A Pro Athlete Financial Coach!!! • Coaches drive your dreams by developing financial strategies that provide the flexibility and balance necessary in adjusting to today’s constant change. • Coaches use their experience, creativity and cutting-edge knowledge to provide tax and legal planning tactics often overlooked. Properly designed insurance and investment products are integrated into your overall financial plan. OpenOption Dream Engineering interfaced with properly designed products and services . . . monitored and refined as needed. There is an abundance of resources for you to explore here. Come back often and visit as there will always be something new for you to benefit from. Enjoy your visit. As developer of the Program, The Financial Engineering Institute uses the consistency of integrity, professionalism and competency of an elite group of financial advisors to provide you with a wide array of financial planning services, financial products and educational programs. Simply click the "Select A Coach" button on the menu bar.